at all influenced by the party who gave me this opportunity.. Imaginative role play is a key part of a child’s learning development. I love having plenty of costumes available to my son to encourage him to play the part of whether it is a worker like a fireman or soldier or something else like an animal or robot. Since we love receiving mail, we were very excited at the opportunity to try out the Mr. Postman Infant/Toddler Costume, available from Costume Discounters. We don’t honestly celebrate Halloween, but you don’t need the holiday just to dress up. We play dress-up all the time to promote creativity and education! Keep an eye on my blog for some fun projects and teaching tips featuring the Mr. Postman USPS outfit! The Mr. Postman costume is so cute and looks a lot like what our mail carriers wear which my son thinks is awesome. One of these days we hope to time it just right so he can have the outfit on and go pick up the mail as soon as the mail truck arrives so he can see the two outfits together. This toddler Little Adults costume is size 3T-4T. My son is just starting to transition into 4T clothing and it fits him perfectly with a little room to grow, so the sizing is spot on. The package comes with a top, pants, a messenger bag, and a foam hat. We paired it with some snow boots and pulled the pant legs down over so they just look like black shoes and we filled the bag with letters so it looked more full and he could pull them out. Let your child wear this outfit when he/she helps bring mail to or from the mailbox outside. One of my son’s favorite activities is helping me get the mail because we all get to go outside for a little bit, rain or shine, and he loves seeing what arrives. This also makes for a great teaching opportunity about why we put the flag up on the box and maybe tell them a little about the history of mail delivery. While it is an easy fix, there were some extra strings on the messenger bag patch and the Velcro pieces on the top were falling off. Of course, the strings can be removed with a seam ripper and the Velcro can easily be hand-stitched or glued back into place, so it is not a huge issue, just something I felt I should point out. The white foam hat as well did not quite match the picture or description on the website; it is very flimsy and was pretty crushed when it arrived so we will not be using it with the costume. I would have loved to see a fabric blue cap more like what most mail carriers wear as it would have looked more authentic and it would have stayed in tact and lasted longer. When I first set up the outfit for my son, I really didn’t like how the mail carrier strap attaches with Velcro. While I still find it frustrating at times to get it in place and making it stay there, I actually love that it sticks on the way it does because if your kid accidentally pulls on it too hard it will release rather than choke them. Overall, the Mr. Postman Toddler Costume is a great addition to your dress-up collection and a great choice if your child is looking for a Baby Halloween costume. Your child will look just like a mailman and it will open up many teaching opportunities. Bonus Tip: There are some great ways to store your costume collection–a costume chest (use the Kidkraft Austin Toy Box), a dress-up center (there are some cute DIY ideas on Pinterest)…but we just set up some removable hooks on the walls inside my son’s walk-in closet and put each outfit on a hanger so he can see the full outfit and keep it organized. For the foam hats that have a hard time hanging on these hooks, I just taped a little strap onto the rim on the inside so it can hook on. Know someone who could use this? Hit the “share” buttons below! 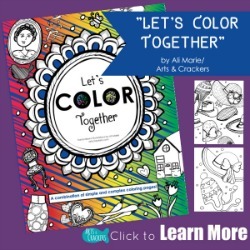 Be sure to follow Arts & Crackers on social media (buttons at the top right of the page.). -What does your little one like to dress up as? costumes, dress-up, Halloween, kids, learning, mail, organize, review. Bookmark. I love this costume! I bet your son had a lot of fun delivering mail in this costume! How cute! He does! We have some fun learning games using it too that I’ll be sharing later! Thanks so much! He does. Love my little mailman!